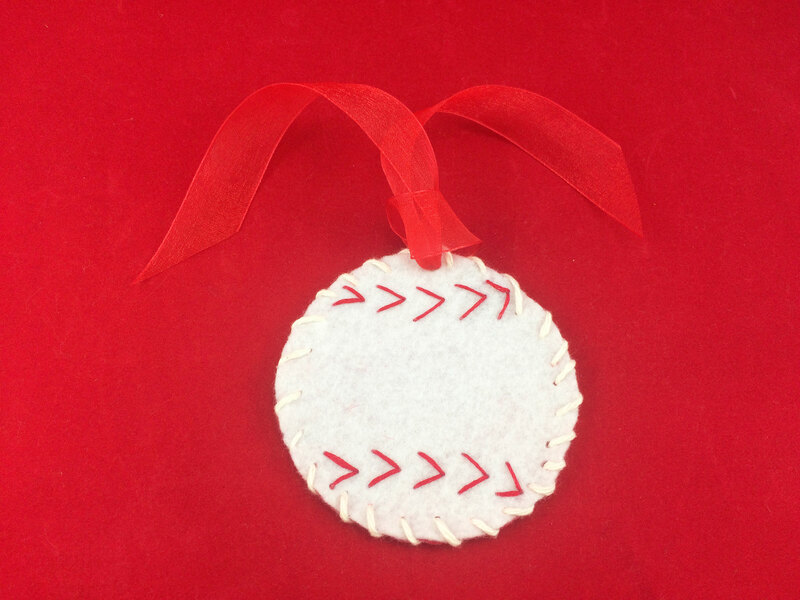 Root, Root, Root for your home team with handmade Baseball Ornaments! Whether your favorite team member plays for the MLB or Little League, this customized craft is sure to be a home run among all of the baseball fans in your life. You can even add a personalized touch with a name or team colors for an extra boost of team spirit! 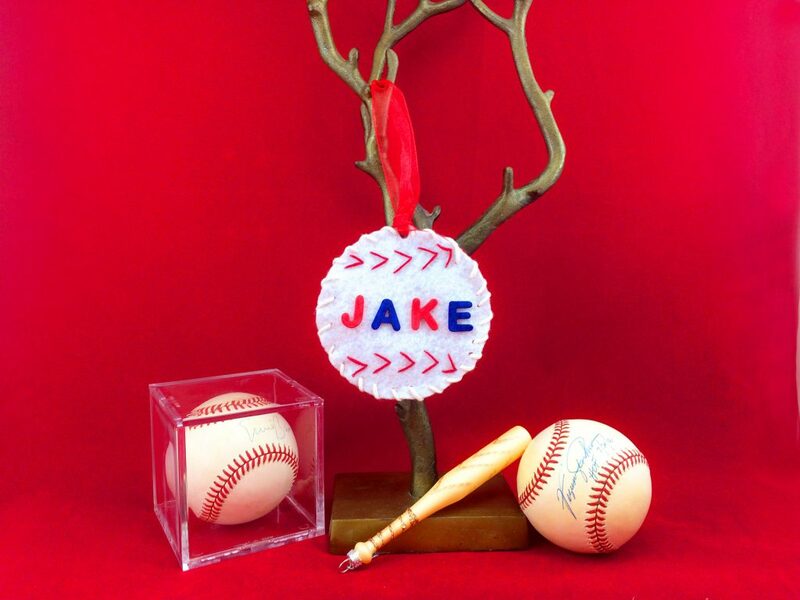 These customized Baseball Ornaments are a great gift for Coaches and teammates alike. They will want to display it year round as a thoughtful reminder of the past season, and on a Christmas tree during the holidays. It’s easy to support your team with these handmade Baseball Ornaments. If you can sew a button, you can sew this simple baseball stitch. 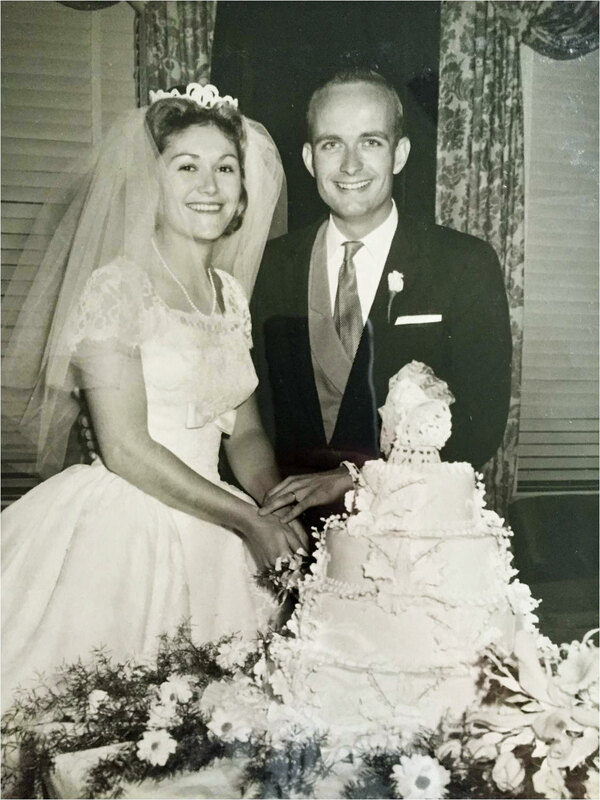 Let’s get crafting – batter up! 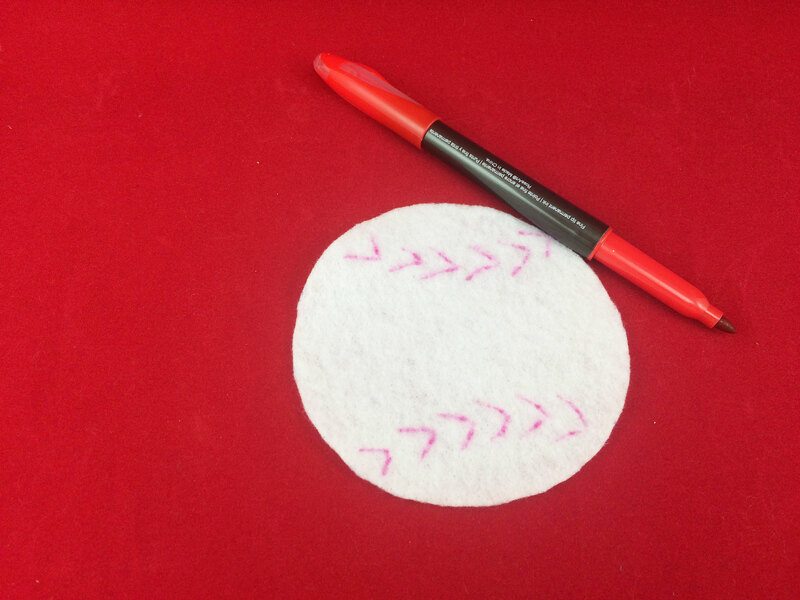 Step 1: First, create your baseball shape by tracing a circle on the white felt. Repeat this on red felt for the backside of the baseball. Then, cut out both circles. 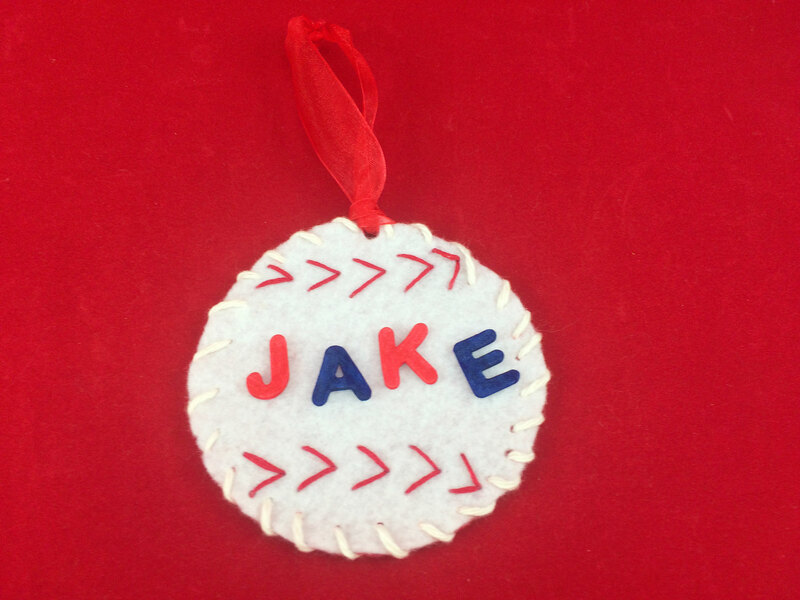 Note: If you plan to personalize your baseball ornament with stickers, now is the time to think about what size circle/baseball you need in order to accommodate the amount of letters you will be using. 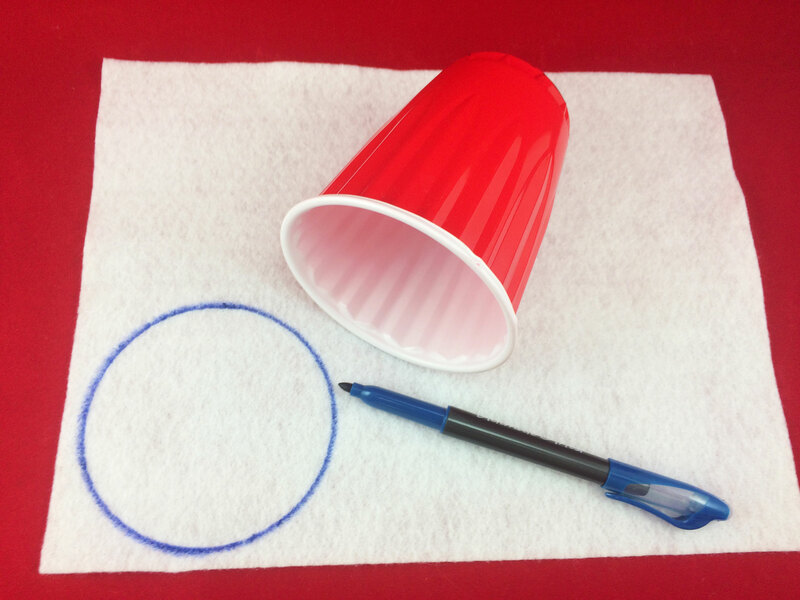 Step 2: Draw “V”’s on the backside of the white felt circle where your red stitches will go. Step 3: Next, using the “V”’s drawn on the backside to guide you, sew red stitches to the front side of the white felt circle. 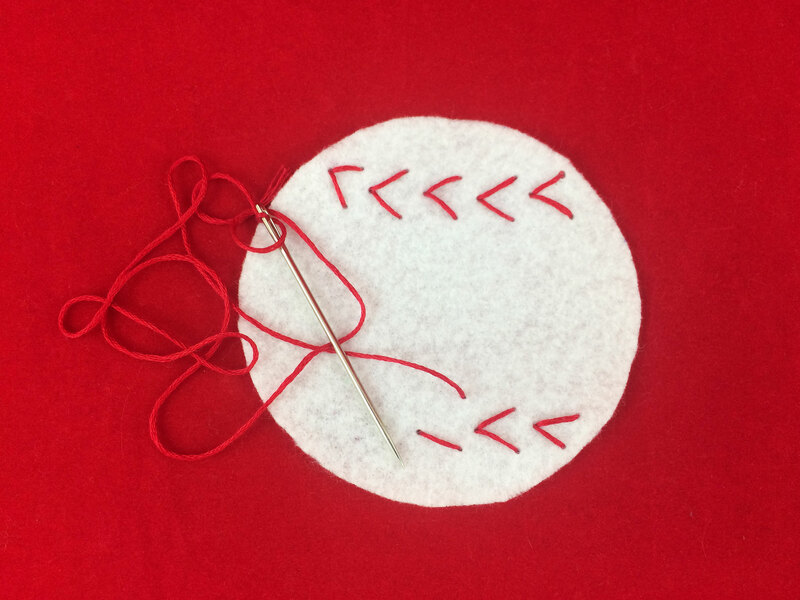 Step 4: Now, sew the red felt circle to the back of your white baseball using white yarn. 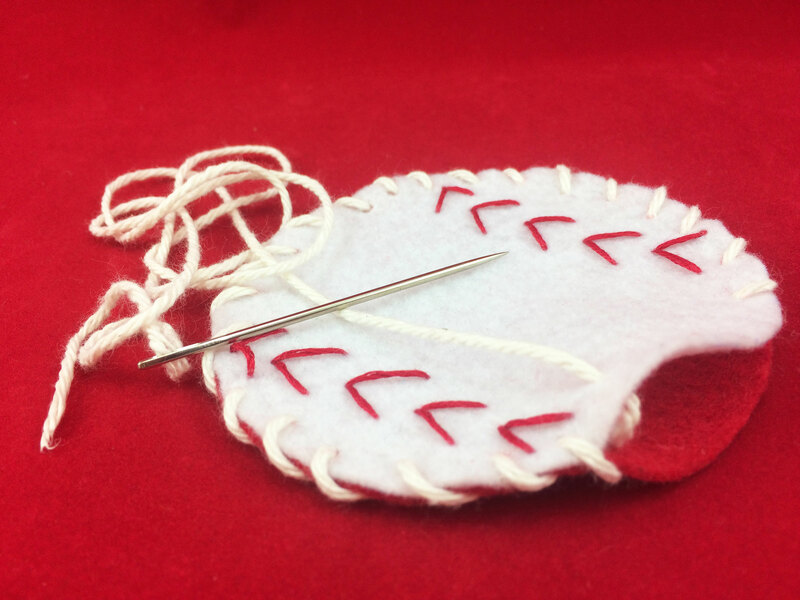 Step 5: Sew an ornament loop to the top of the baseball using a needle and ribbon. Then tie the ends together to form a loop for hanging. Step 6: Finally, use foam letter stickers to personalize the baseball with a player’s name, number or team name. Tip: Use markers to color the white foam letter stickers with your favorite teams colors. That’s it! Now your customized Baseball Ornament is ready to be displayed! This craft makes a great decoration! It adds a fun pop of color when you hang it from a child’s bulletin board, from a backpack like a name tag or next to your Little League team’s game schedule. You’re Baseball Ornament will look great on a Christmas tree during the holidays, but you can get twice as much use out of it when you display it during the baseball season too! Did your gift strike out last year? 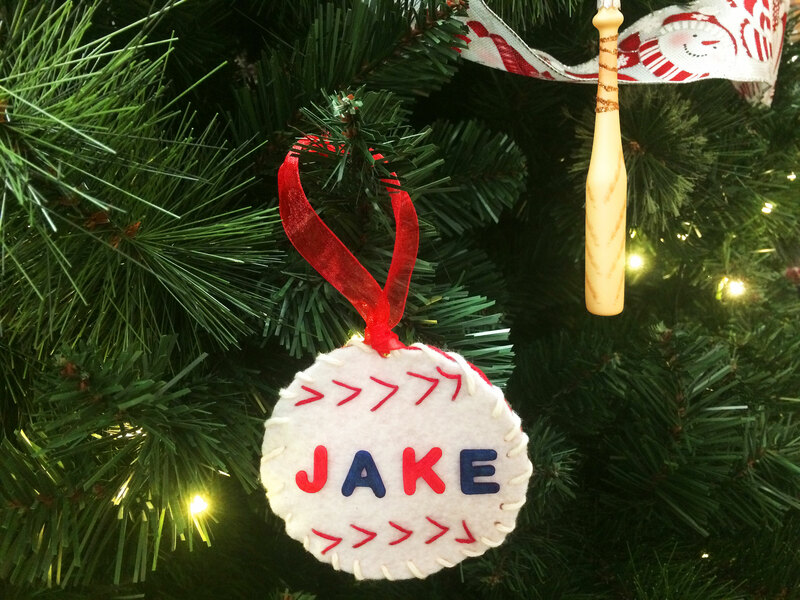 Step up to the plate this year with a personalized Baseball Ornament that’ll please the little slugger in your life. 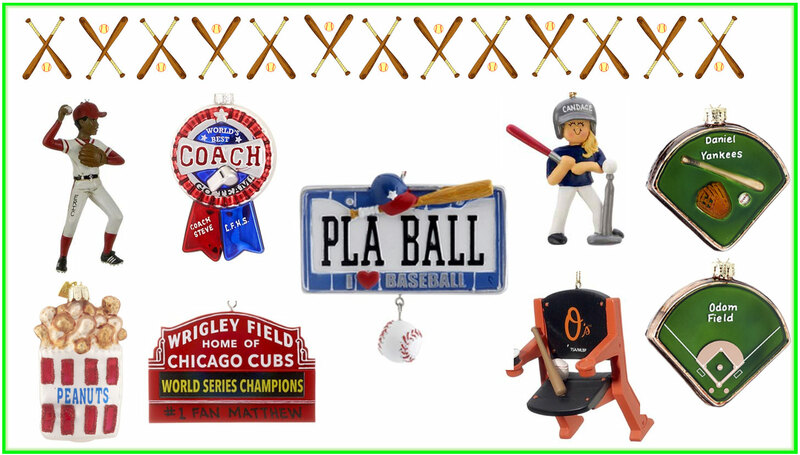 Check out our line up of MLB, baseball & softball ornaments for a gift that’s sure to be a Grand Slam! Let’s play ball! Cute idea. 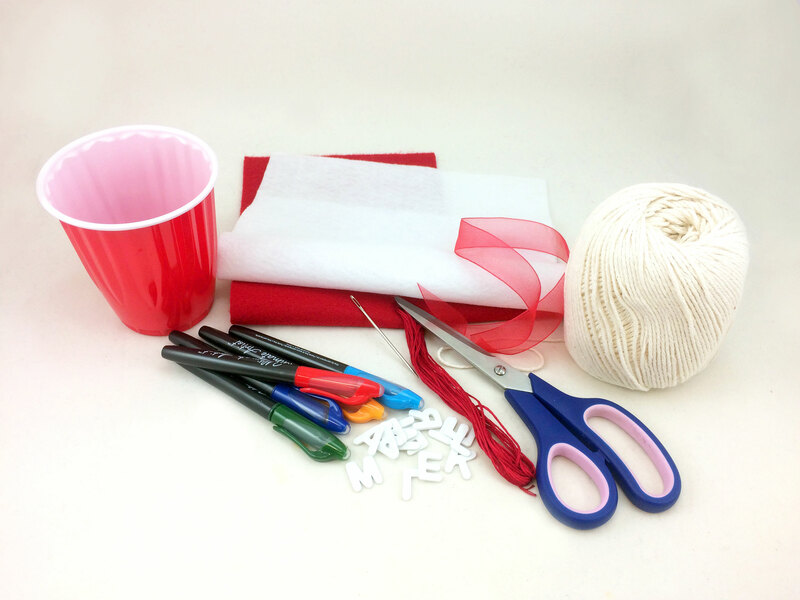 I’m not very crafty, but your instructions are easy to follow and the supplies aren’t expensive, Plan to make as favors for my Godson’s baseball themed birthday party this summer. He and his friends will love them. What a cute idea, Debbie! 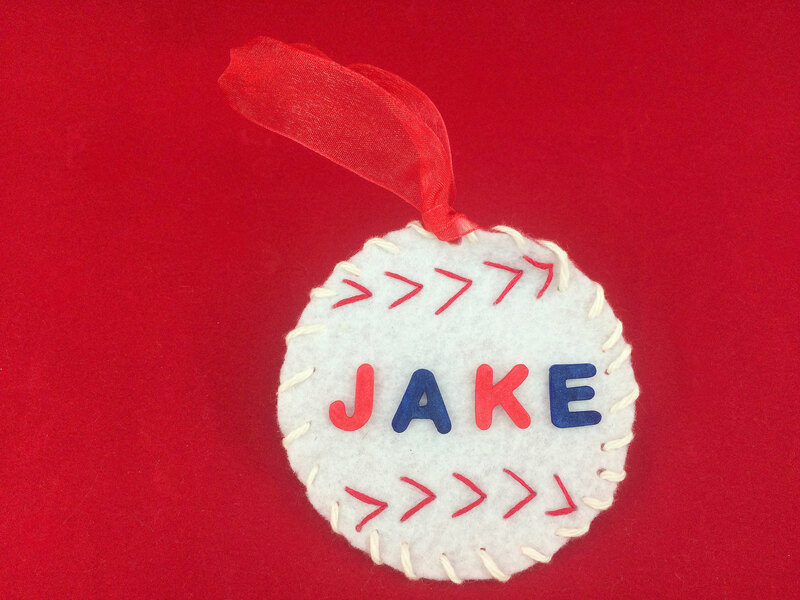 These Baseball Ornaments are so easy for everyone to make, and the kids will love seeing each of their names personalized on them! You could even add the team mascot of your Godson’s Little League Team or favorite MLB Team to the ornament. I hope your Godson and his friends love them! The Chicago Cubs Wrigley Field Ornament is a favorite of ours too! We’re still celebrating our Chicago Pride around the office with the Chicago Cubs 2016 World Series Champions Ornament! So excited that baseball season has begun!